William Rankin is President Emeritus of the Global AIDS Interfaith Alliance (GAIA), a non-profit non-governmental organization delivering HIV prevention and care interventions in developing countries. 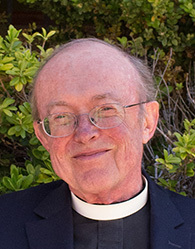 From 1993 to 1998 Rankin was President, Dean, and Wilson Professor of Christian Ethics at Episcopal Divinity School in Cambridge, Massachusetts. He holds the Doctor of Philosophy degree from Duke University and Masters degrees from Episcopal Divinity School and the Sanford Institute of Policy Sciences and Public Affairs at Duke. He has been a Rockefeller Fellow in the Humanities and was awarded an Andrew Mellon Post-doctoral Fellowship. He is a Fellow of the Cathedral College of the Washington National Cathedral, has been a Visiting Scholar at Cambridge University, England, and a Scholar in Residence at the Rockefeller Foundation Center at Bellagio, Italy. Dr. Rankin is a trustee of the San Francisco Holocaust Memorial and Education Fund, a member of the Institutional Review Board of Marin General Hospital, and of the HIV/AIDS Technical Expert Group of the Global Health Council in Washington, D.C. He is Chair of the Ethics Committee of Hospice by the Bay. He is a Clinical Professor in biomedical ethics at UCSF and has authored three books, over forty articles in refereed journals, and several book chapters. His published work in health care has appeared in Ethics in Science and Medicine, Asian Forum, Linacre Quarterly, The Public Library of Science – Medicine, Healthspan, British Medical Journal, Global AIDSLink, The Singapore Nurse Journal, the U.S. State Department’s Global Issues, and The Journal of Pediatric Nursing. He was guest editor of the January 2002 British Medical Journal special issue on global HIV and AIDS.